ios and Android apps from World History Maps, Inc.
WORLD HISTORY MAPS: N AMERICA, Based on our unique historical GIS the new app concentrates on North America since 1492 with more details: states and provinces, cities and towns, battles, military campaigns, civil and natural events. 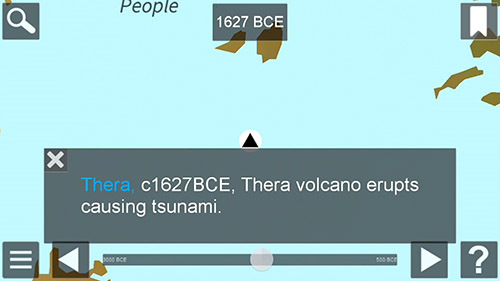 WORLD HISTORY MAPS ANCIENT, is now available at itunes, Google Play, and now Amazon. 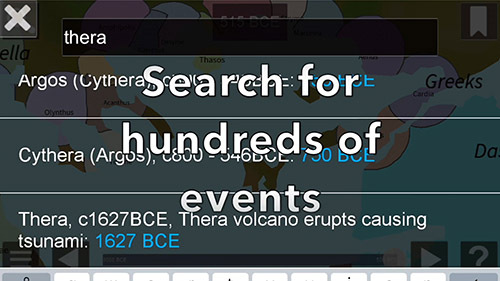 The new app concentrates on the Ancient world from 3000 to 500 BCE with more details battles, military campaigns, civil and natural events, and cities. Our series of apps starts with WHM The World. Instead of an historical atlas which has maps showing the world (or a region) at a few significant years, or maps that try to compress decades or even centuries of change on to one map, we offer a different approach. Our interactive historical maps show the entire world for every single year in recorded history. This is an unprecedented amount of detail in time for the whole world that cannot be found anywhere else. The scalable maps allow even the smallest countries to be shown. Looking at History in this detail gives one a unique perspective. These are also the first historical maps to be made using GIS technology. Maps show countries of the world at the beginning of each year, with Major Tribes and Peoples. Maps are Scaleable and zoomable with popup information. Scrolling forward and backward is available with adjustable speeds. Maps can be pinned so you can toggle back and forth to compare different years. Following below are more details about how to use the apps. 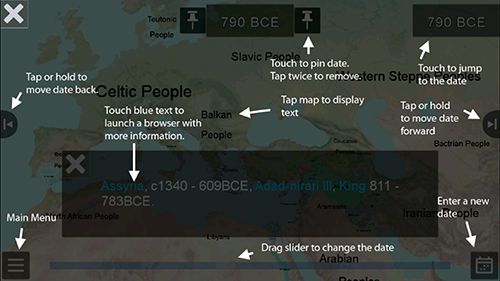 The WORLD app shows countries, tribes, and peoples of the world from 3000 BCE to the present. Details within countries are not shown. The ANCIENT app concentrates on the Ancient world from 3000 to 500 BCE with more details: battles, military campaigns, civil and natural events, and cities. Based on our unique historical GIS the new app concentrates on North America since 1492 with more details: states and provinces, cities and towns, battles, military campaigns, civil and natural events. There is full search ability and links to wikipedia. The appS will briefly display a splash screen at the very start. In addition the first time you use the app, the help screen will display (see below). Once the map displays the year is shown at the top of the screen. Each map shows the world as it was at the beginning of the year. Changes that occur during any one year are shown on the next map. At the first start, the whole world will show. Thereafter the app will remember where you were and at what level of zoom you were each time you start. The maps can display at any level of zooming by using pinch and expand. There are several to navigate your way around to various years. At the bottom of the screen is a slider which allows you to move rapidly from one time period to another. You can drag it as slow or fast as you like. On the right and left side are the forward and backward buttons. These will move from year to year. The number of years to move with each tap can be set in the settings screen (see below). Tapping these buttons moves one increment. Holding these buttons moves continuously until you let go. The speed at which the years move can also be changed in settings. Defaults for interval and speed are 1 year and 1 second. In the lower right corner is the date selection button. This will bring up a screen where you can enter any date between 3000 BCE and the present. Note the BCE and CE buttons. If you want to change from one to another use these. A particularly useful feature of these maps is the pinning feature. There are two pin buttons at the top of the screen next to the year. Tapping the right pin will attach the current map to a new date displayed in the upper right corner. Tapping the left pin does the same for the left. Once two dates are pinned you can conveniently switch back and forth to compare them. This swapping is done by tapping the pinned dates. Both pinned maps will be at the same level of zoom and if you change one, the other will also change. The pinned dates will remain available even if you select another date in the center. Removing the pinned dates is done by tapping the pins twice. Tapping any of the labels on the map will pop up a text box with more information. Tapping on any text in blue will open a link to Wikipedia or Google for further research. The link will turn yellow while the connection is being made. If no article is available the link will turn back to blue. Tapping on the X in the upper left of the popup box will close it. Tapping on any other label while the popup box is open will change the text. Tapping on the menu button in the lower left corner of the map will bring up a menu from which you can access the help screen. The help screen explains the various buttons and what they do. The menu can also be used to access the settings screen. Three variables can be set on this screen. 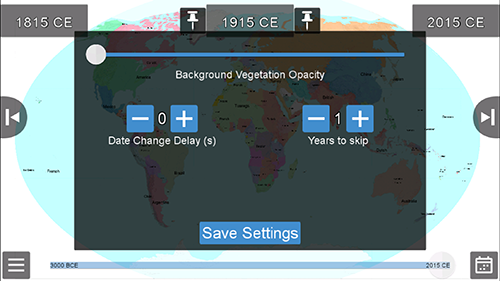 The "Date Change Delay" setting is used to control the speed at which the forward and backward buttons display the next map. The number is the number of seconds to delay. A setting of "0" will result in no delay and the maps will scroll very fast. During this fast scrolling the map labels will not display. Any other setting will show the labels. The next setting is number of years to skip while scrolling. The third setting is how transparent or opaque you want to show the background vegetation. You will be able to see it change as you move the slider so you can adjust it as needed. The background is especially useful in the early milleniums where there are not many countries. The new search screen allows you to search hundreds of countries, rulers, and events. Once the desired item is displayed, tapping the relevant year brings the map right to that year and area of the map.